The transport sector is the fastest growing major contributor to global climate change. In an effort to address climate change in Asia, the Asia Low Emission Development Strategies Global Partnership (LEDS GP) 2013 Forum was held during the first week of October 2013 in Manila, Philippines, pictured above. Transport was identified at the forum as one of the major priorities of the continent. Photo by James Manners. The transport sector is the fastest growing major contributor to global climate change – it accounts for 23% of energy related CO2 emissions. In Asia, CO2 emissions are expected to experience a three- to five-fold increase by 2030 compared to the year 2000 if investment strategies and policies do not change. In an effort to address climate change in Asia, the Asia Low Emission Development Strategies Global Partnership (LEDS GP) 2013 Forum was held during the first week of October 2013. Experts and decision-makers from Asia, Africa, and South America gathered in Manila, Philippines to collaborate and learn from one another with the intention of facilitating climate actions. The forum helped the LEDS Transport Working Group identify that the need of decision-makers and technical experts is neither to understand the importance of prioritizing climate action in the transport sector nor to know what to do, but rather how to plan, fund, and implement the appropriate transport programs and projects to reduce emissions. This finding supports the LEDS GP approach that provides the necessary networks, information, and tools to enable low emission development in Asia as it fights to decrease its vulnerability to climate change. At the end of the day, it was clear that the tools, capacity building, and expert advice the LEDS GP Transport Working Group offers can support the participants in efforts to implement low emission projects in the transport sector. The Communities of Practice session, spearheaded by the LEDS Transport Working Group, focused on transport. Through the session, it became evident that an inventory of existing communities of practice is needed because the biggest barrier to utilizing them is a lack of awareness. To increase the accessibility of information, there needs to be a local or national point of contact to disseminate communication, and match correct resources to appropriate audiences. Climate is not a driver of decisions in the transport sector – decision-makers look for information from non-climate sources, so information regarding low-emission transport strategies must be centralized and accessible. The LEDS Transport Working Group will be instrumental in centralizing this information. The LEDS Transport Toolkit was presented during the APEC/Asia LEDS GP Forum Open Space Session, where it received positive feedback related to its importance. It will be a resource for sustainable transport topics through providing a forum that includes information and access to technical resources, training to support practitioners, and expert assistance. The Transport Toolkit will be instrumental in making the connection between different materials, topics, and policies relating to sustainable transport, as it is a tool for assessing material quality and providing guidance on when and where to use particular tools. After a week of peer-to-peer learning and experience sharing, the paramount need for support on how to implement low emissions development strategies in the transport sector was reinforced. Moving forward, the LEDS Transport Working Group will be integral in providing guidance and support for the implementation of sustainable low emissions transport projects. 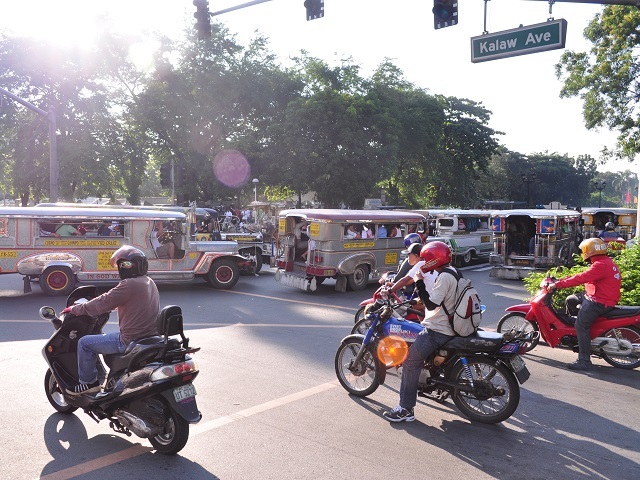 As a form of knowledge sharing, the LEDS GP in partnership with the Clean Energy Solutions Center, offers a webinar series on planning and financing low-carbon urban transport. Dr. Robin King will be presenting a webinar on “Low-carbon urban mobility plans” on November 13, 2013 at 9:00 pm EDT. Interested participants can register for the webinar here. To find out more about LEDS GP Transport Working Group please visit their website or contact Benoit Lefevre at blefevre@wri.org. You can also learn more about the workshop and forum here.